The benefits of EMV are apparent in Europe; “losses at U.K. retailers have fallen by 67 percent since 2004; lost and stolen card fraud fell by 58 percent between 2004 and 2009; and mail non-receipt fraud has fallen by 91 percent since 2004.” EMV has been especially effective against card-present fraud, because the card is authenticated with a unique transaction code for every transaction—this makes stolen card data useless for future purchases, since the real card must be present. Although still in its infancy in the U.S., merchants using EMV technologies saw a decrease of 27% in counterfeit fraud from January 2016 to January 2017 according to Mastercard. How Do Consumers Feel About EMV? Consumers are starting to get comfortable with EMV cards. As mentioned earlier, most consumers now have EMV chip cards in their wallets. Today, the majority of consumers in the United States appreciate the benefits of EMV security technology. This was illustrated in a survey by creditcards.com where 59% of respondents answered that they had “no complaints” about the technology. Satisfaction has improved recently primarily because transaction times are speedier. Initially, consumers were frustrated by the extra wait time for dipping EMV cards vs swiping traditional mag-stripe cards (the actual time is only about 6 seconds slower, but that is compared to half a second from traditional cards). In addition, EMV transactions can only be completed after all items are rung up adding to the impression of elongated processing times. Fortunately, programs like Quick Chip are helping speed transaction time. Are You Ready to Adopt EMV? If you held off initially and are now ready to adopt EMV, make sure you select an EMV-certified payments technology partner that provides you with the tools to securely accept all forms of electronic payments.  Also make sure the partner offers semi‐integrated and standalone payment solutions to help merchants achieve their EMV goals without the burden of having to go through a time consuming and costly EMV certification. By taking control of the transaction from the dip of the card to the final authorization, it eliminates the merchant’s responsibility for an EMV certification saving time and costs. 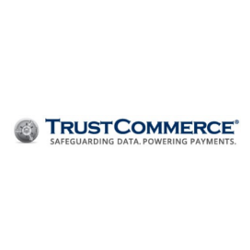 If you would like to learn more about TrustCommerce’s payment solutions, click here.